The milanesa is a common meat dish mostly in Argentina, Bolivia, Brazil, Chile, Paraguay, Peru and Uruguay as well as in other American countries to a lesser extent, such as Mexico, where breaded meat fillet preparations are known as a milanesa. 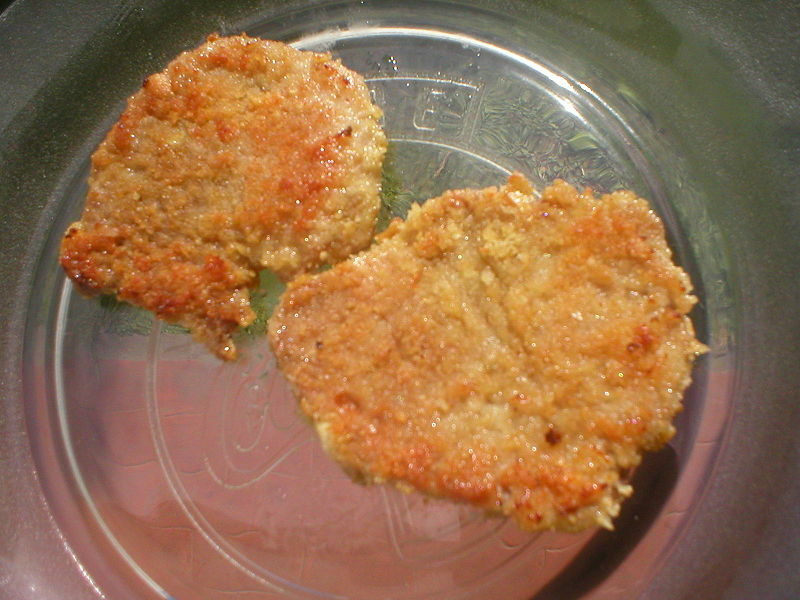 A milanesa consists of a thin slice of beef, or sometimes chicken or veal. Each slice is dipped into beaten eggs, seasoned with salt, and other condiments according to the cook's taste (like parsley and garlic). Each slice is then dipped in breadcrumbs (or occasionally flour) and shallow-fried in oil, one at a time. Some people prefer to use very little oil and then bake them in the oven as a healthier alternative. In Argentina, the milanesa is made of beef, sometimes veal, but also chicken (called "suprema de pollo"). It may be served both at expensive restaurants or cheaper cafes. It is usually served with French fries or mashed potatoes, and/or salad. There are other variants made with cheese, ham, tomato ("milanesa a la napolitana"). Sometimes it may include a fried egg on top ("milanesa a caballo"). There is also a popular sandwich, or "sandwich de milanesa", served on a French style baguette. Milanesas can be fried or oven baked. The milanesa is similar to the Austrian wiener schnitzel.